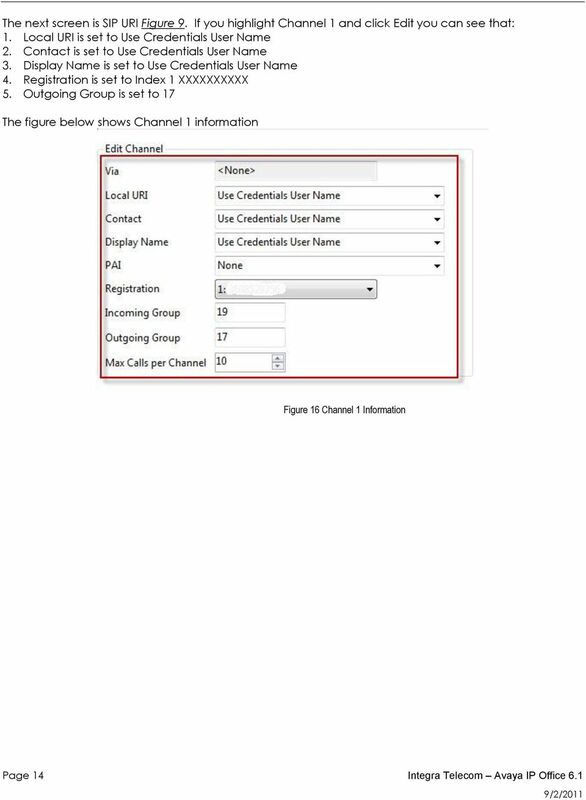 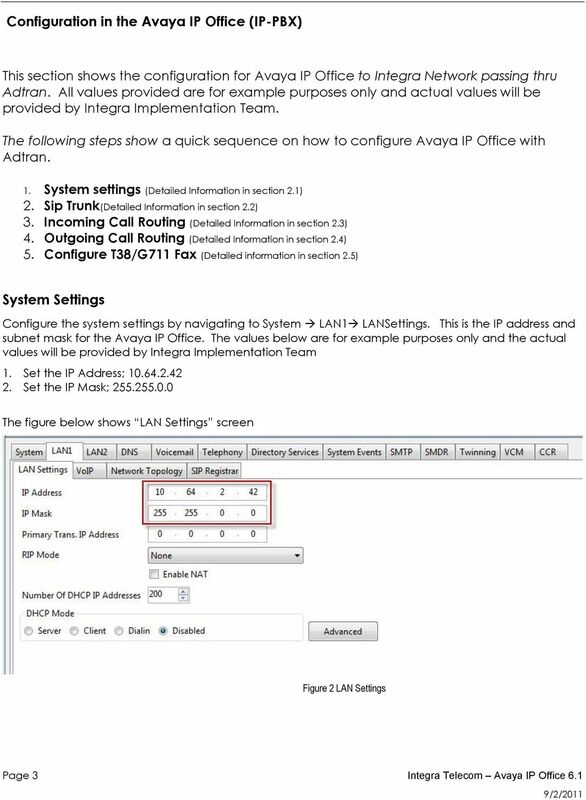 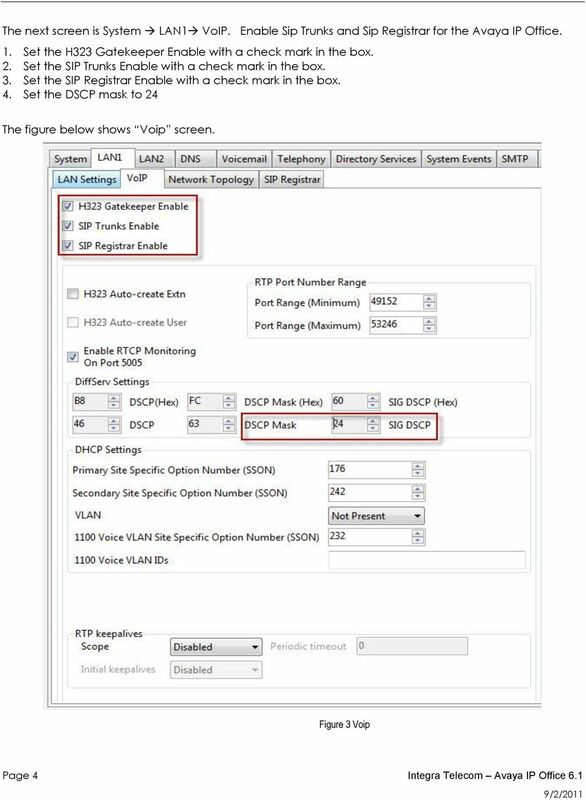 Download "How to Configure the Avaya IP Office 6.1 for use with Integra Telecom SIP Solutions"
Valcom Session Initiation Protocol (SIP) VIP devices are compatible with SIP-enabled versions of Avaya IP Office (5.0 and higher). 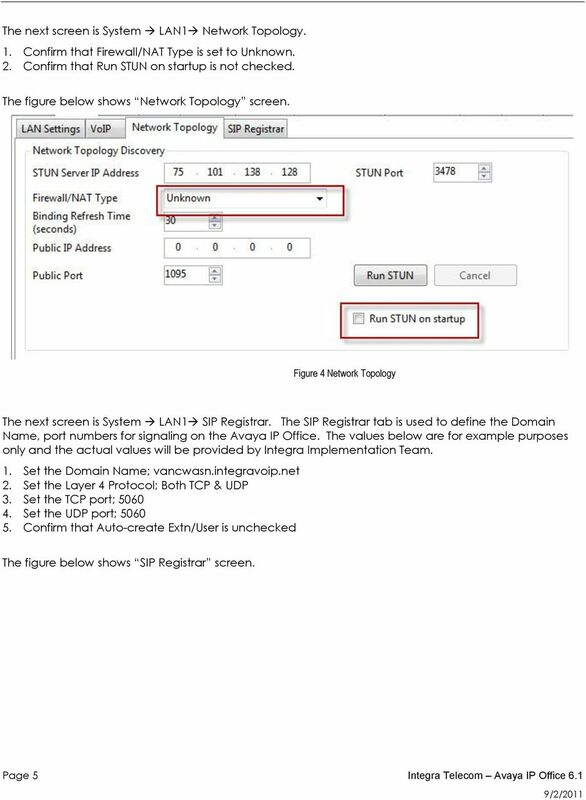 The Valcom device can be added to the IP Office system as a SIP Trunk. 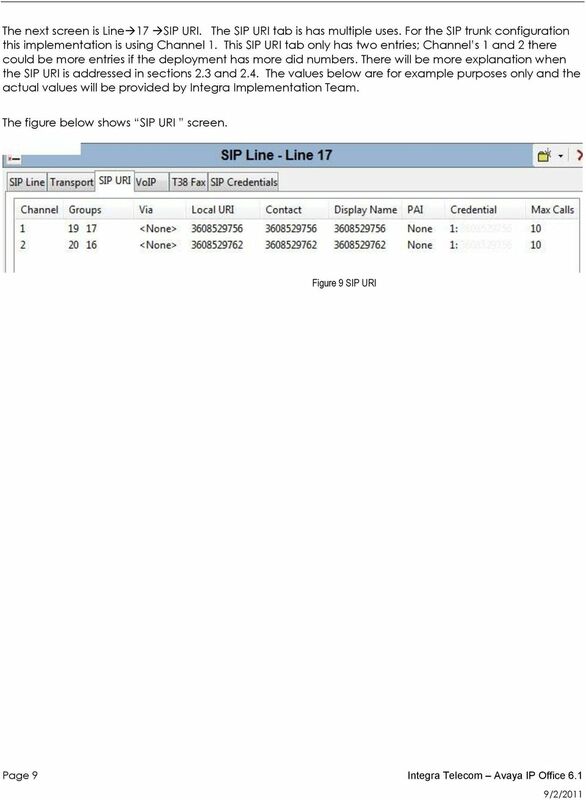 Valcom Session Initiation Protocol (SIP) VIP devices are compatible with SIP-enabled versions of Avaya IP Office (5.0 and higher). 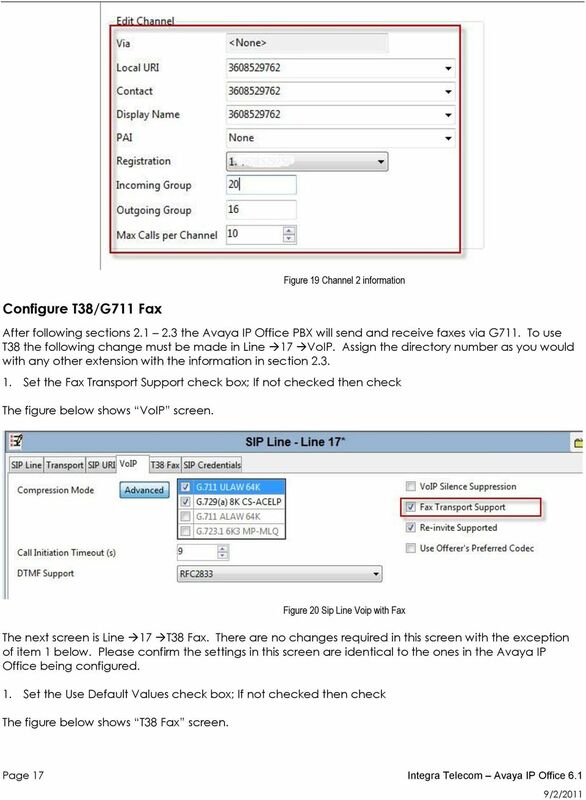 The Valcom device is added to the IP Office system as a SIP Extension. 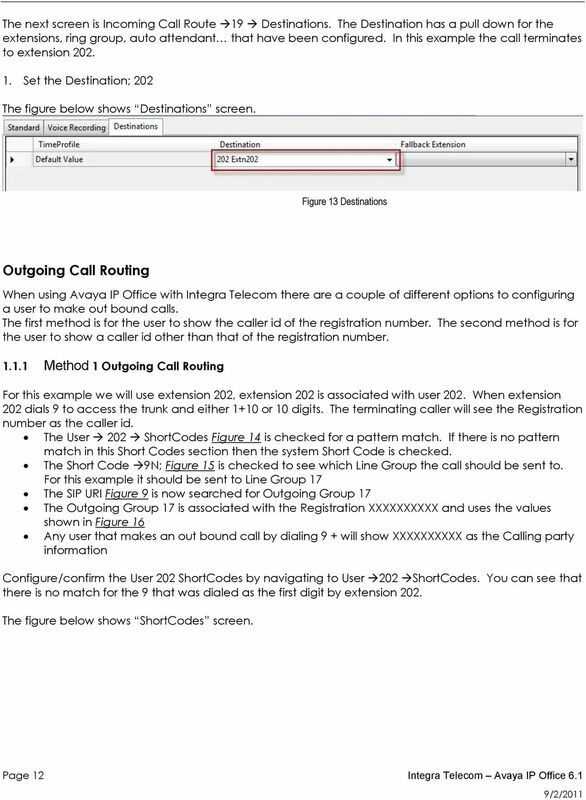 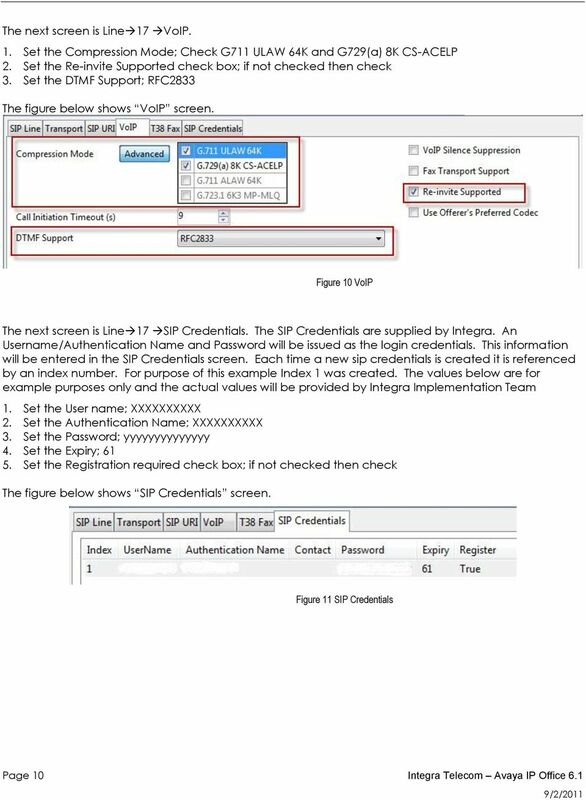 Application Notes for Configuring SIP Trunking Using Verizon Business IP Trunk SIP Trunk Service Offer and Avaya IP Office Release 6 Issue 1. 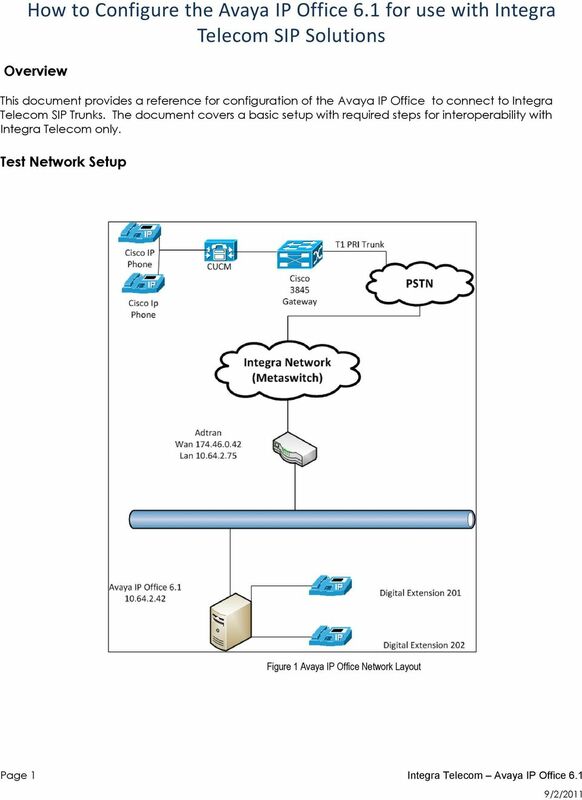 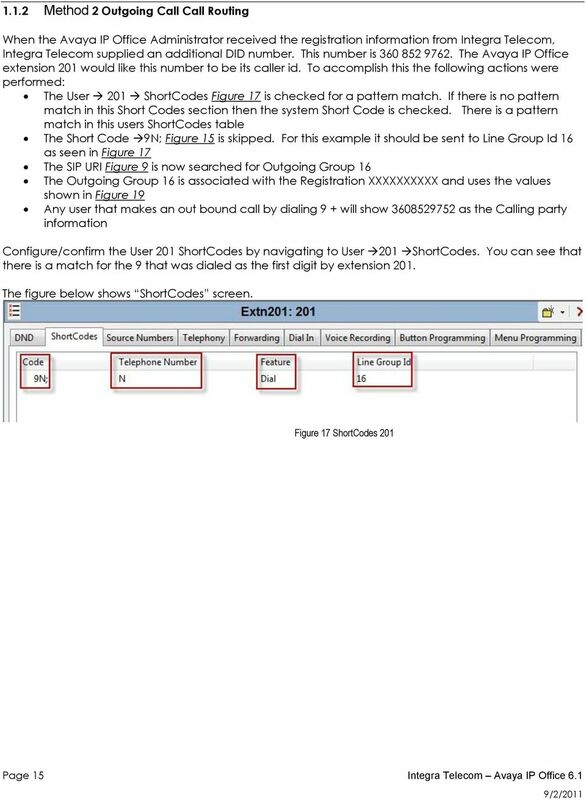 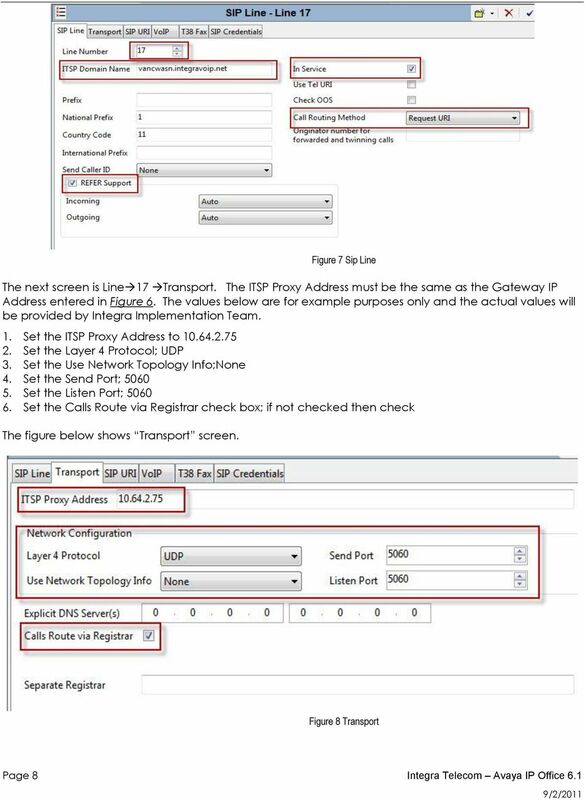 Configuration Guide for connecting the Eircom Advantage 4800/1500/1200 PBXs to the Eircom SIP Voice platform. 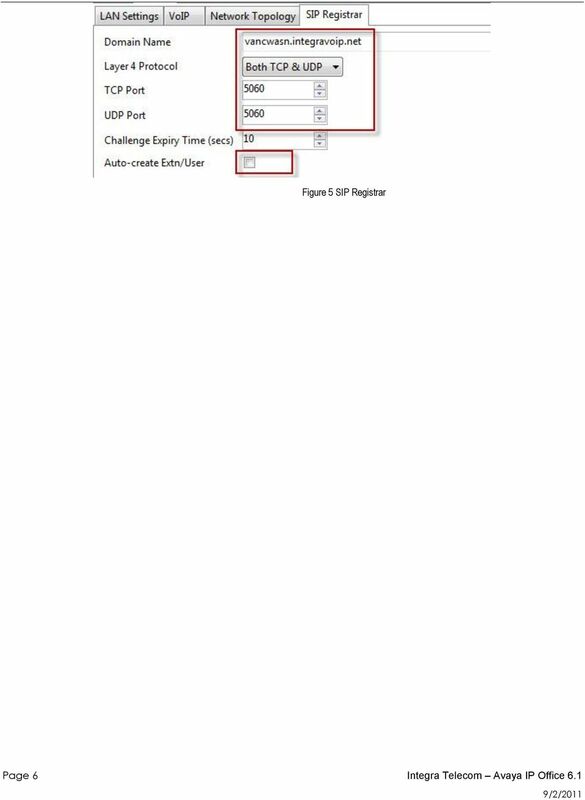 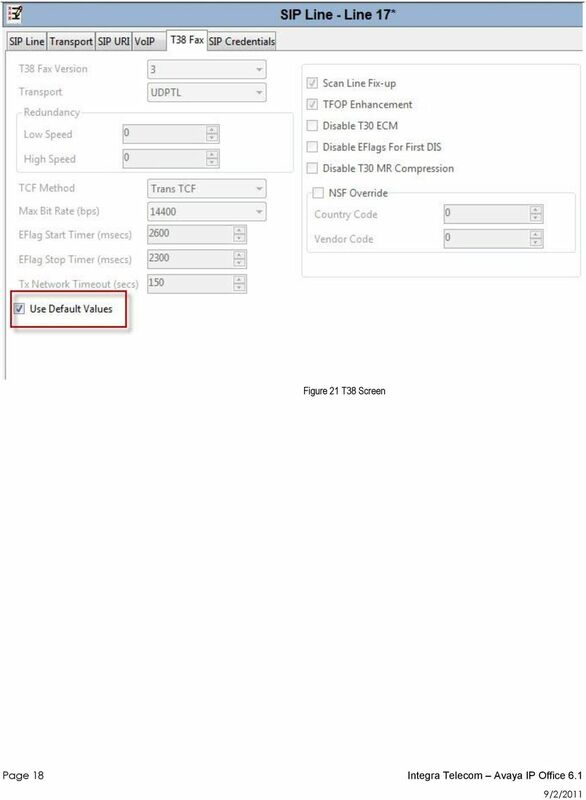 SIP Trunking Test Results for CudaTel Communication Server Table of Contents 1. 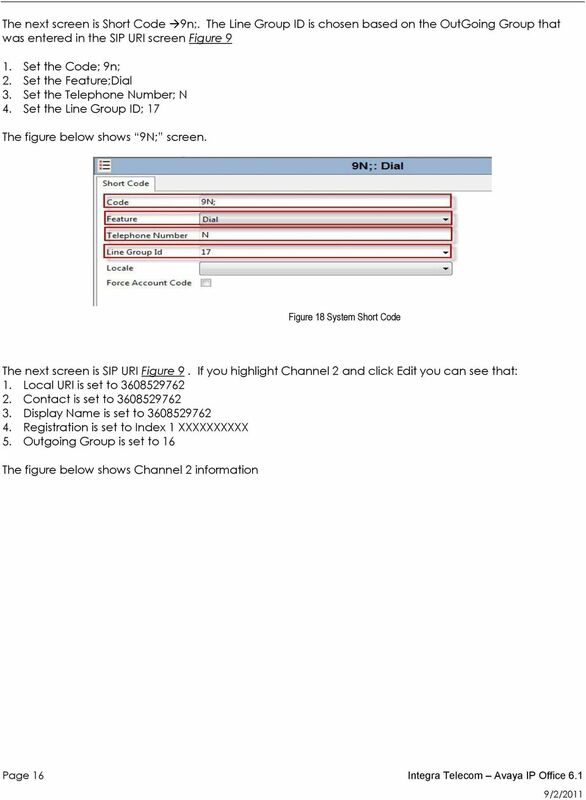 Executive Summary... 2 4. 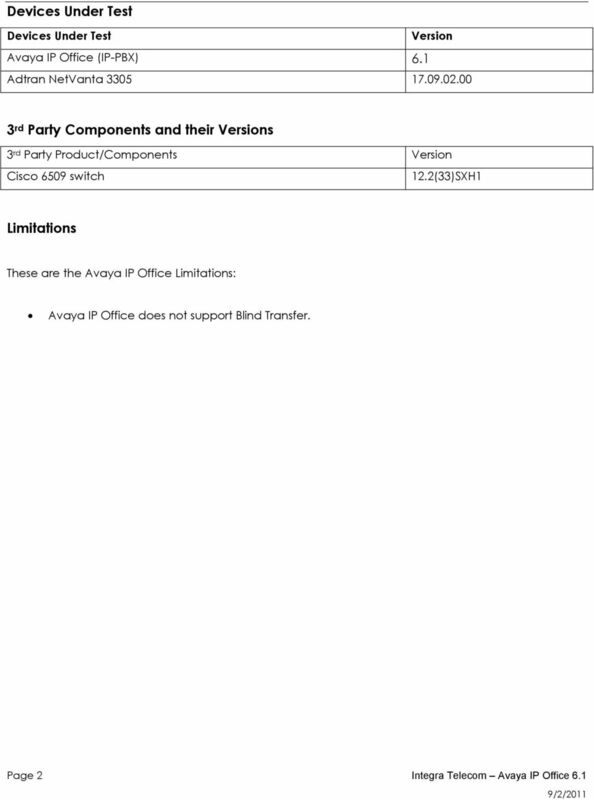 Software and Hardware Equipment Requirements for Testing... 3 5. 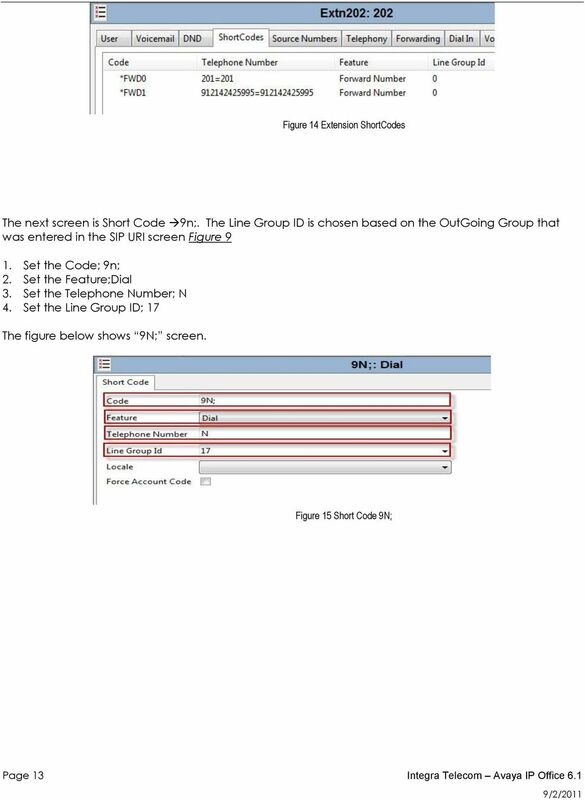 Test Configurations... 4 5.1. 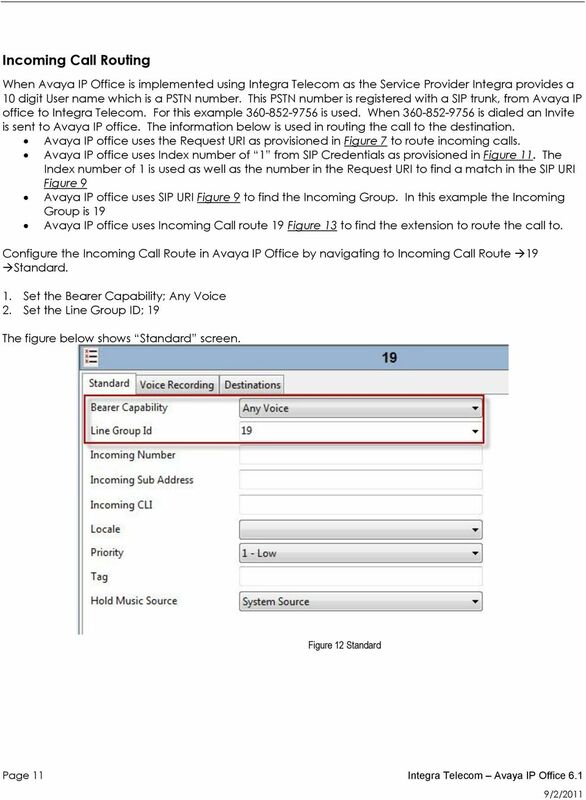 VISIT SIP Avaya IP Office Server Edition 9.0 Configuration Checklist Version 1.2 380 129 866 RDC Paris Clause de confidentialité Toutes les informations contenues dans ce document sont strictement confidentielles.